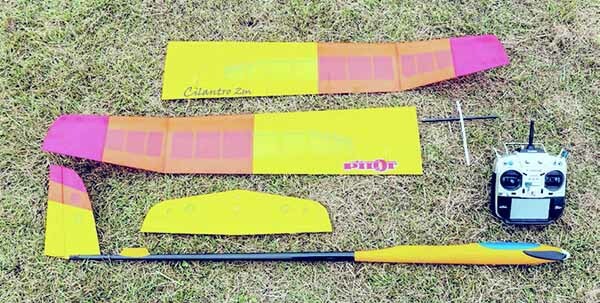 The body which has evolved further with inclusion of the know-how of the competition accumulated by Pimenta 2 m which became the standard of the F5J-2000 class competition machine standard and new technology is Cilantro 2 m. First of all, in order to reduce harmful resistance, it is a main wing blended four kinds of completely new airfoils, technology of more than 2 m of Pimenta is necessary for the assembly, but I think that you can feel the high performance corresponding to it. Also, in addition to enabling ballast mounting to respond accurately to weather changes during the competition, the air brake function was changed from a spoiler to a flap. Furthermore, since the nose is not cut, it can be manufactured as it is as a pure glider. As a motor glider, there is a jig for cutting the nose for 30 mm, 34 mm spinner. It is a glass fiber fuselage pod that can also be manufactured as a pure glider. Equipped with a flap that exerts its power in fixed-point landing. Servo uses Tamazo TS-1002 with a thickness of 8 mm. The glass fiber pod has enough space. Adopted two split main wings by carbon pipe, which is convenient to carry. The horizontal stabilizer can also be removed. By changing carbon pipe Kanashi to steel etc., it becomes ballast. 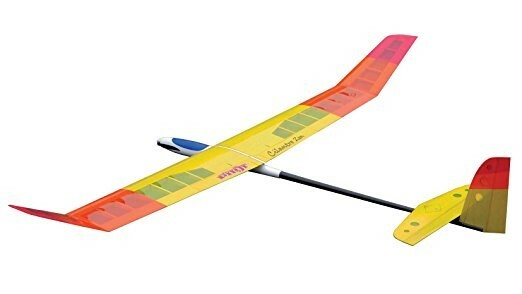 This aircraft is an assembly kit made of balsa.